The Sure-Grip Avanti Magnesium plate features a magnesium alloy baseplate with a sleek hollow design that saves roughly 48% in weight over the Avanti Aluminum. 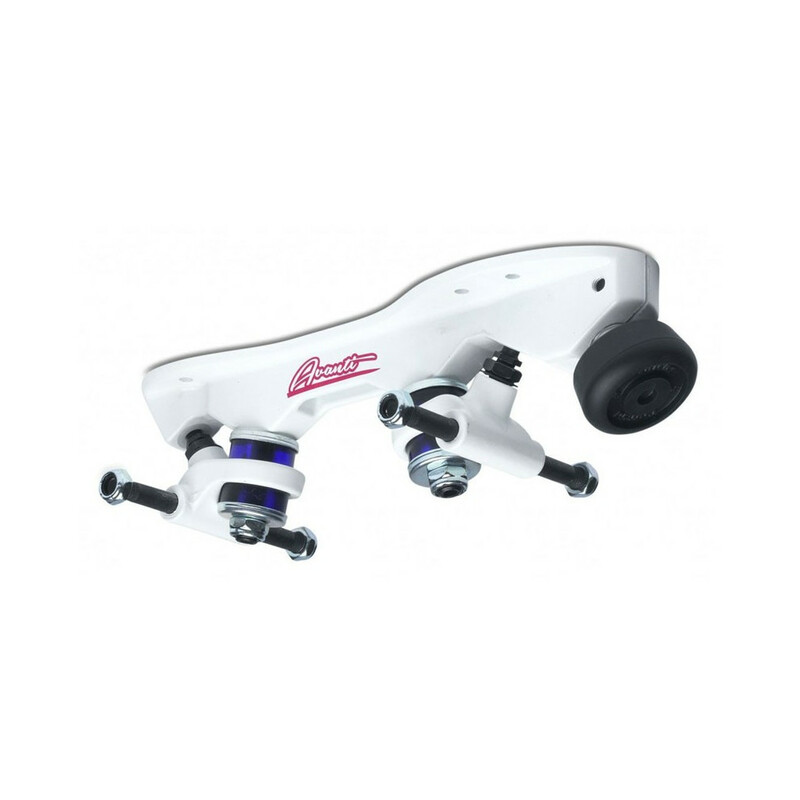 A cool white powder finish covers the entire plate as well as the 10° double action aluminum trucks, which also tout precision milled adjustable pivots. Plate includes Sure-Grip Super Cushions, Carrera speed stop, axle nuts, and mounting hardware. *Size recommendations are suggested based on Sure-Grip boot size, which is approximately equivalent to men's U.S. shoe size. Please use caution, as this can (and probably does) vary from other manufacturer's boot sizing. ** Weights are measured as one (1) plate with kingpins, pivot inserts, and toe stop screws. Une saison d'utilisation de ces platines montées sur des blues steak rediell = sensations super cool, un peu plus léger que des platines standard derby, réactivité top, tampons de base durent un peu, look simpa, résistants, bref conquise !